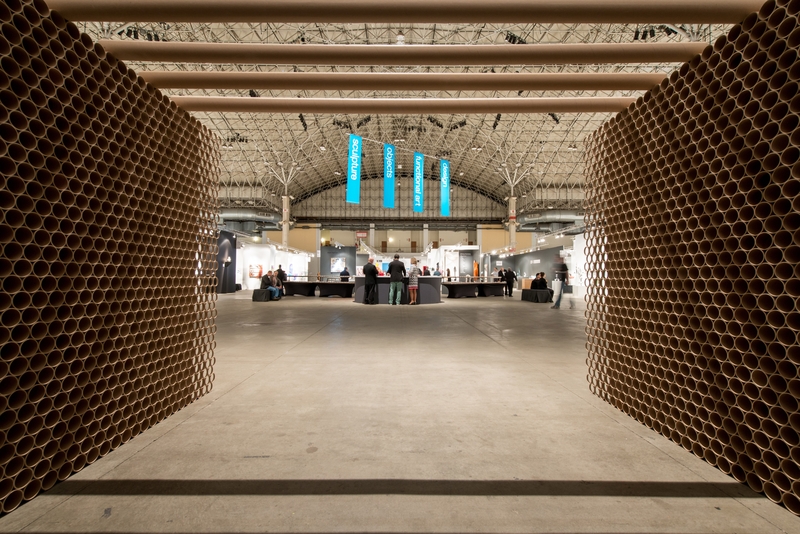 SOFA Chicago, a world renowned art fair dedicated to Sculpture, Objects, Functional Art and Design returns annually to Navy Pier. 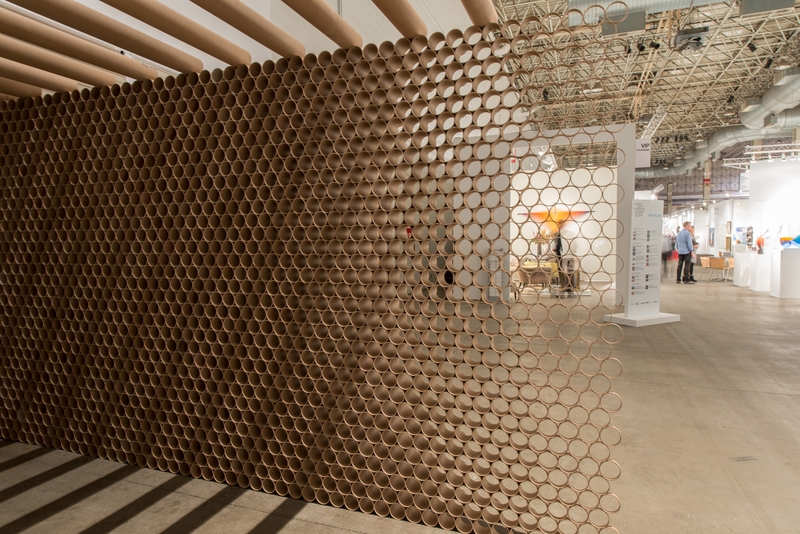 2015 marked SOFA’s 22nd year, and the show organizers decided to engage an architect to re-envision the show design. Tasked with enhancing the fair experience for both visitors and exhibitors, we designed the layout of the show to improve wayfinding, provide more equitable exposure to exhibits, establish distinct destinations within the larger space, and create a heightened sense of arrival. SOFA features art that explores form and materiality, using common materials in unexpected ways to transcend expectations. A sculptural entrance installation was an ideal opportunity to capture the spirit of the art being exhibited and serve as an expression of the work itself. To that end, the architects designed and constructed two sculptural screen walls for visitors to pass through. Upon entry, views into the show gradually open up as they walk in. The re-envisioned layout created intentional views through the show, and this entry experience reinforced that strategy. We often incorporate reclaimed materials in our work. 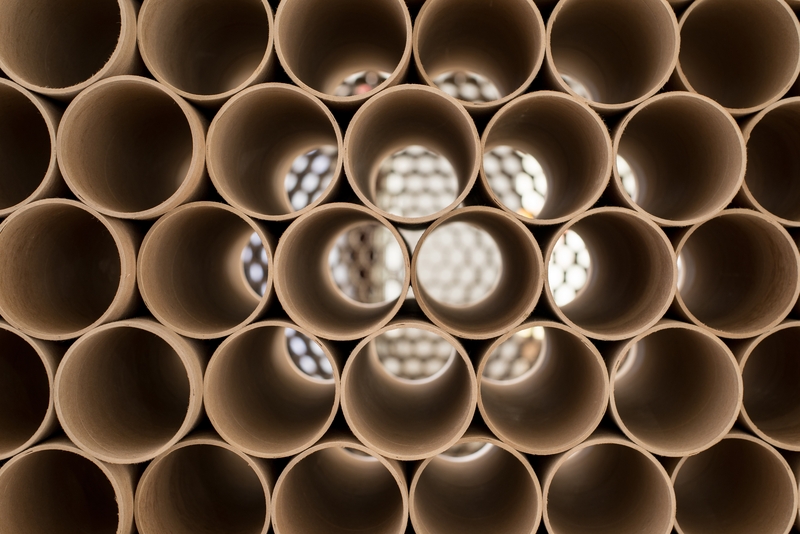 In this case, used cardboard tubes, the waste product of large-format printing, were collected from six local print shops over many months. We measured, cut, finely sanded, and fastened the tubes together. Transported in manageable sections, the walls were fully assembled on-site. 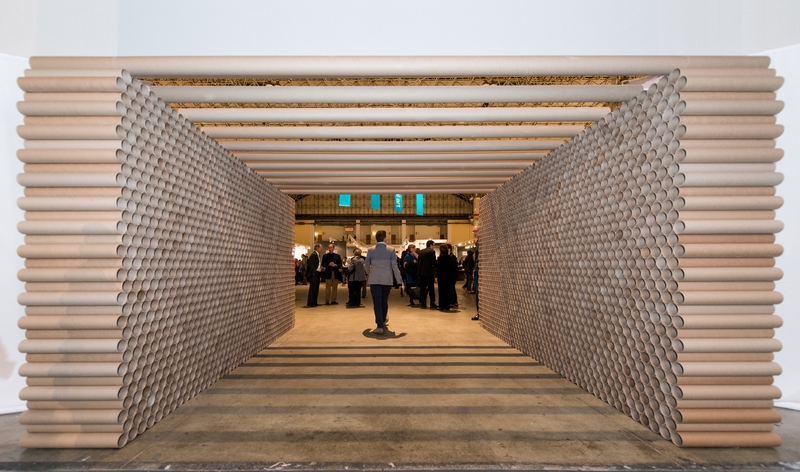 Recycled carpet tubes provided a ceiling plane and braced the freestanding object. The tube sections gradually decreased in size, from 23” to ½” in length. As visitors passed along seemingly flat walls, views into the show opened up due to the thinning of the outside face of the wall. Once in the show, the nature of the walls was revealed. 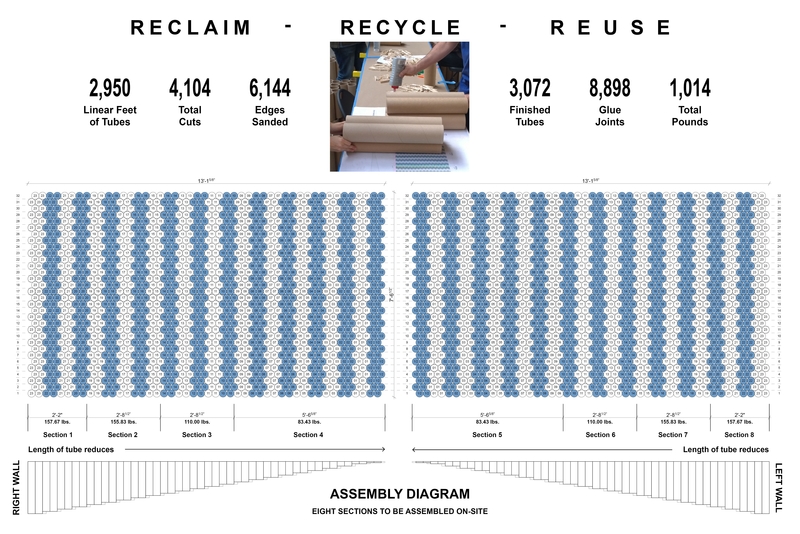 Applying this level of design rigor to a waste product illustrates the power of design and the potential of repurposed materials.